With most of the celebrities taking leadership posts after elections, one of them is not content with the results that have been released. Ali Khamis aka Ally B is known for his hit song ‘Kidekide‘ is against the released results. 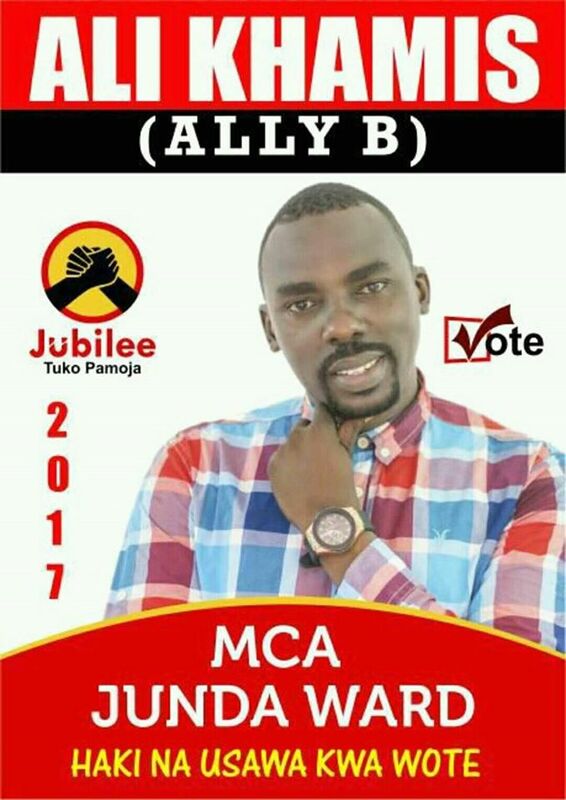 He was vying for the MCA seat in Junda Ward, Kisauni under the Jubilee Party ticket. He was head to head with the ODM party holder, Musumba Raphael Buire who as per the results released, won the seat. This is of concern to him as he knew he had great support from the people after a post on social media just when he clinched the party ticket during nomination. Guess he still stands for his slogan, ‘Haki Na Usawa Kwa Wote‘. Well, this is a lesson that your social media supporters will not necessarily vote for you. Boniface Mwangi also saw this in bold!